Jimmy Pyro has delighted audiences at events such as: Fright Fest at Six Flags over GA 2009, Cherry Blossom fashion show in Macon GA, Volkswagen Fall Event at the Tennessee aquarium, Q100's Big Wicked at the Compound, The Asylums Halloween party, and many more! Jimmy Pyro's show can be adapted to each event. 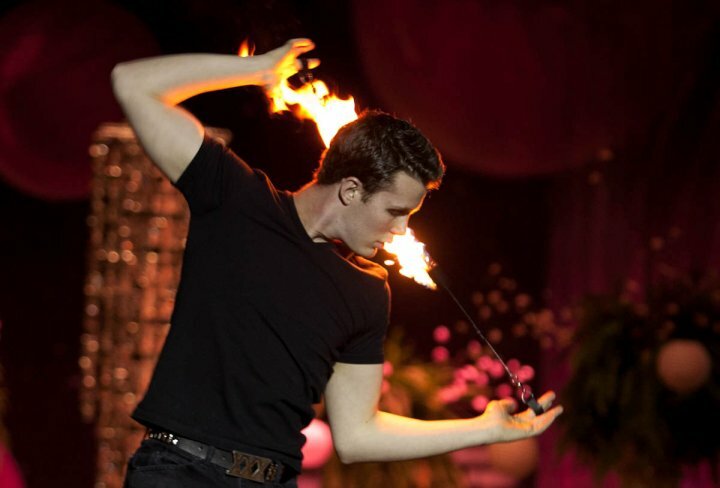 Most commonly there is a 30 minute variety show where jimmy demonstrates all of his fire acts, included fire dancing, eating and breathing. There is also a "walking show" that is most common for festivals in which jimmy will walk the crowds and keep people entertained.